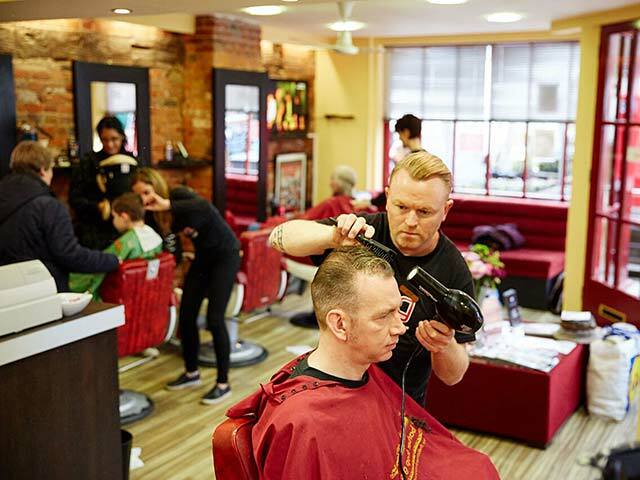 Established in 1982, The Barber Shop Group has a passionate commitment to men’s grooming and offers no-nonsense high quality, value-for-money haircuts, styling and shaving for men. 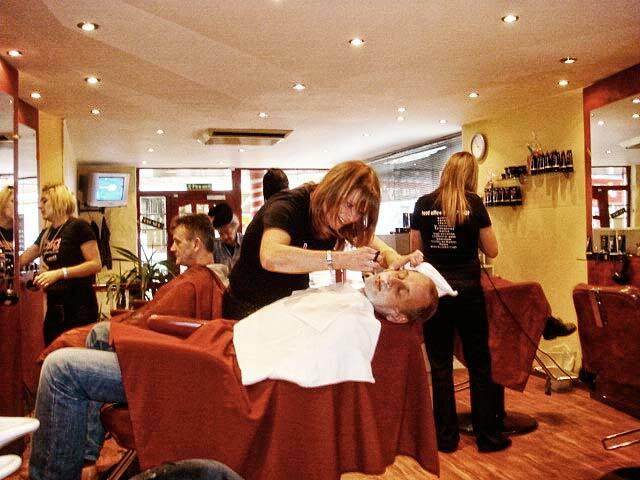 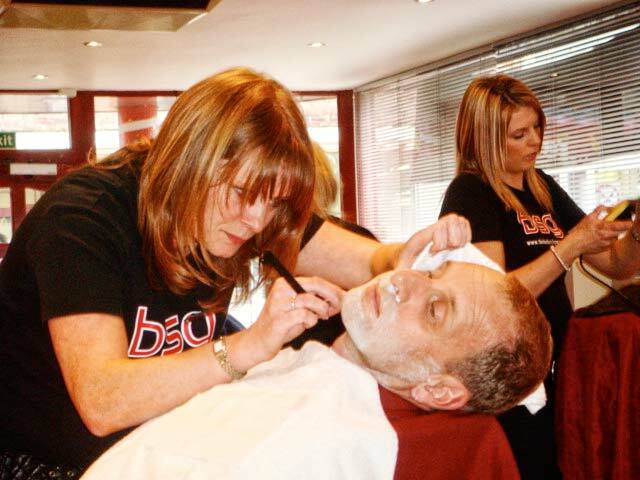 The founder of the business, Karen Waldron, started her barbering career as an inexperienced 17 year old working in a ‘spit and sawdust’ barber shop in Oxford. 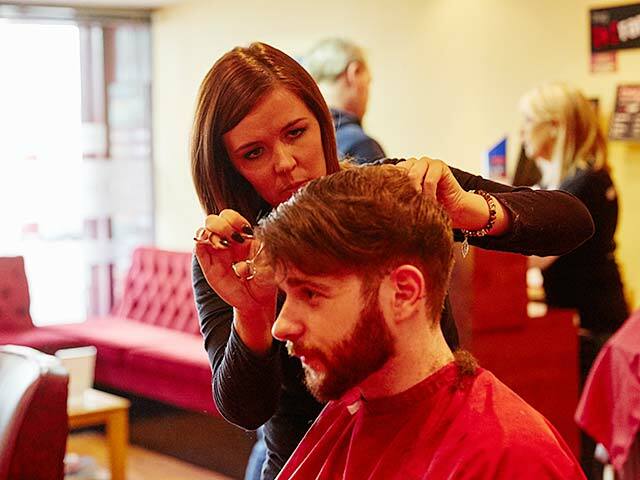 As one of the very first women to enter into this male dominated world, Karen could clearly see a gap in the market away from the impersonal experience of a traditional barbers and the perming lotions and colourings of the unisex hairdresser. 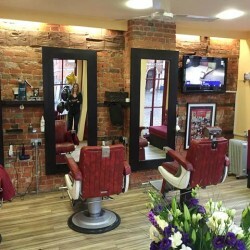 She could see that men were looking for (and continue to seek today) an enjoyable and relaxing haircut or shave, in a comfortable and friendly, yet masculine, environment. 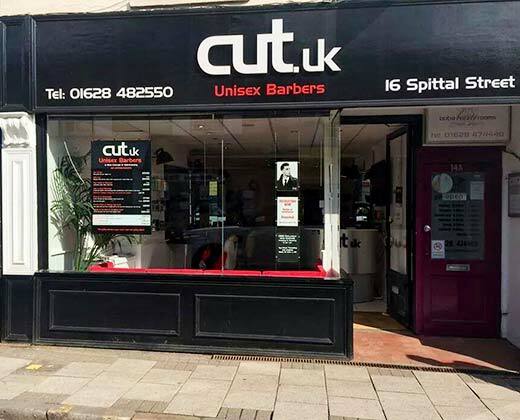 In 1982 Karen opened her first Barber Shop in Wendover, Buckinghamshire, offering men the efficient yet enjoyable haircutting, styling and shaving experience they had been searching for. 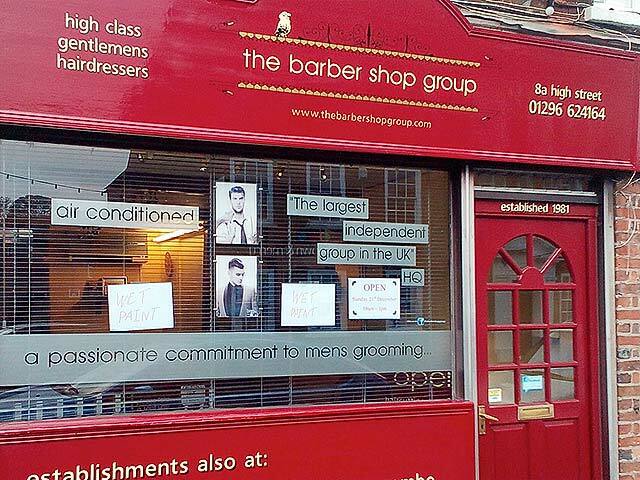 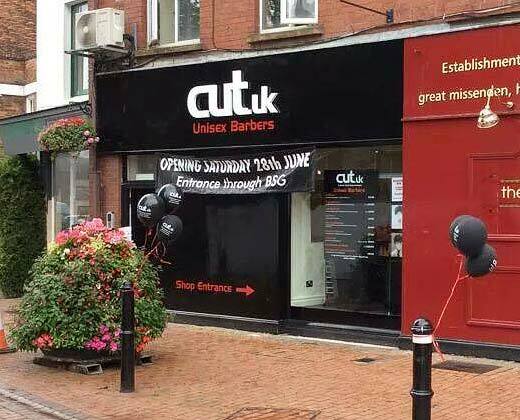 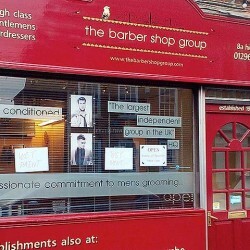 More salons soon followed making The Barber Shop Group the largest independently owned chain in the UK. 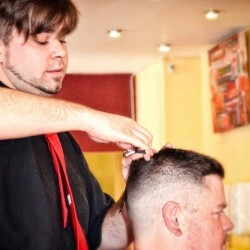 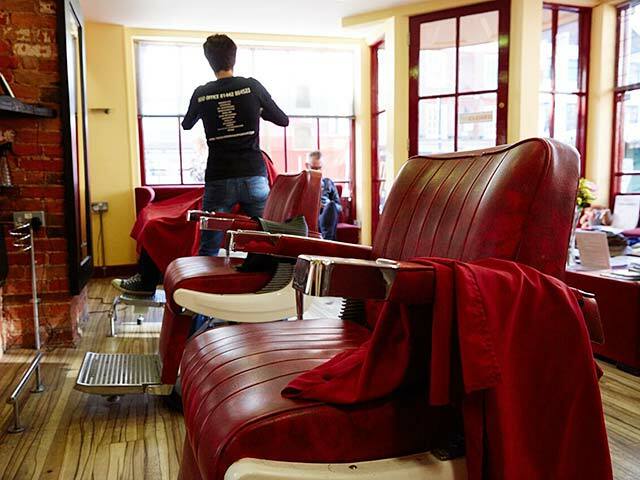 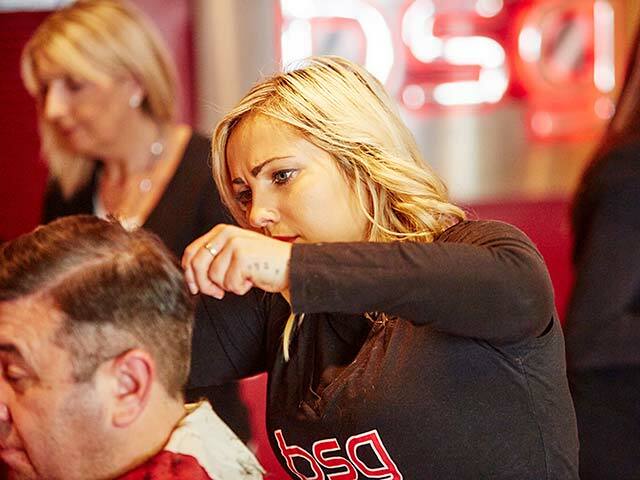 The Barber Shop Group prides itself on expertly trained friendly staff who offer no fuss, honest advice along with a wide range of hair cuts – from no-nonsense grade ones to a full restyling. 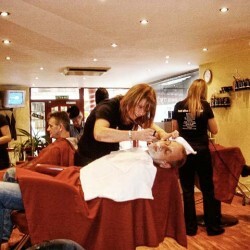 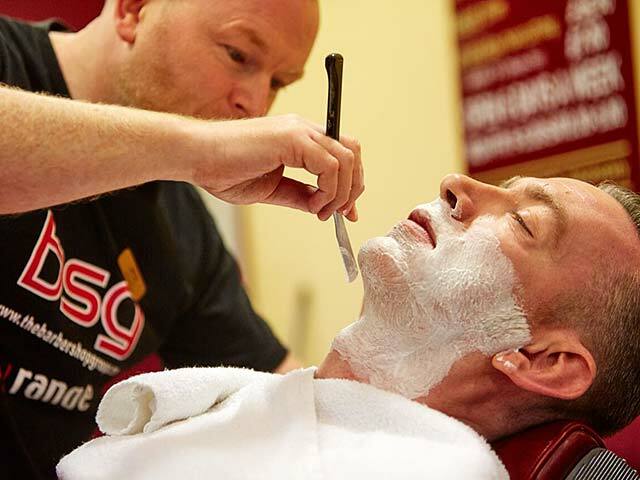 Beard trimming and traditional wet shaves are available in many of the salons. 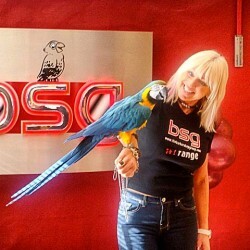 Karen introduced her pet parrot, a Macaw named Sam, into the Wendover branch. 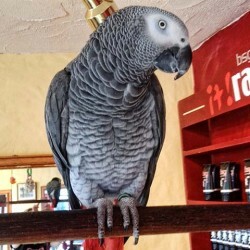 He proved very popular with staff and customers alike and generated wide press coverage locally and nationally under the heading “lovely birds in barbers”! 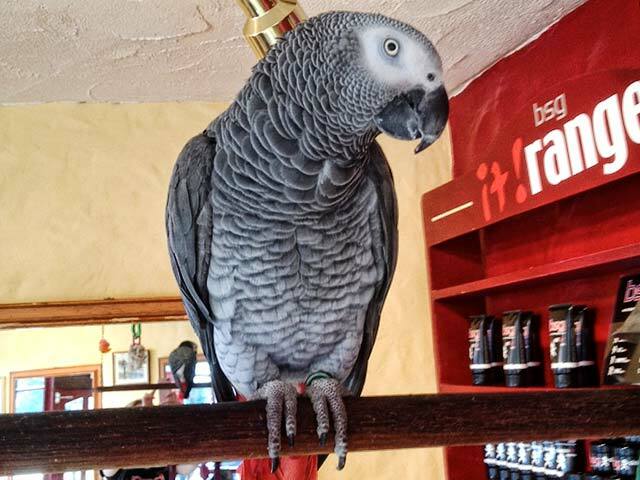 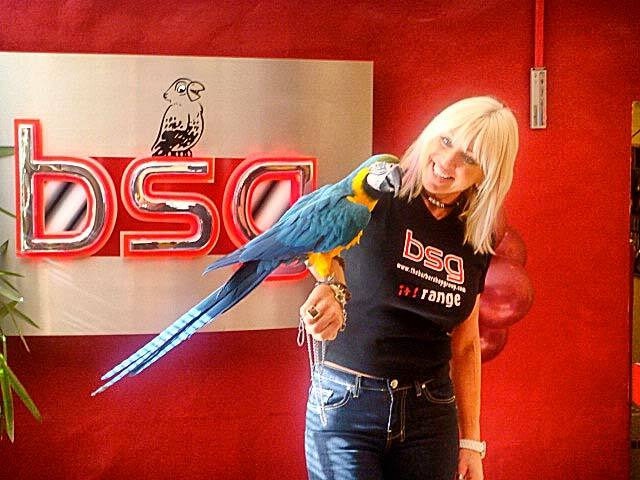 As a result, the parrot became the firm’s official mascot and others have since been introduced to several of the other salons. 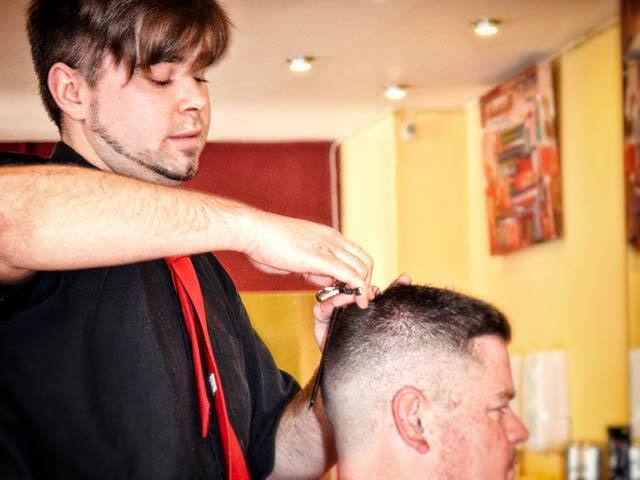 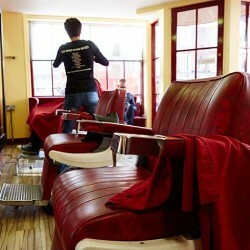 Due to our continued growth we are always on the look out for enthusiastic, hard-working trainees and talented barbers. 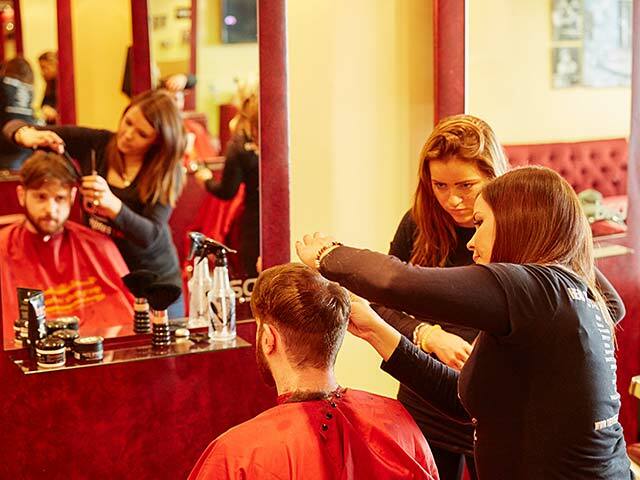 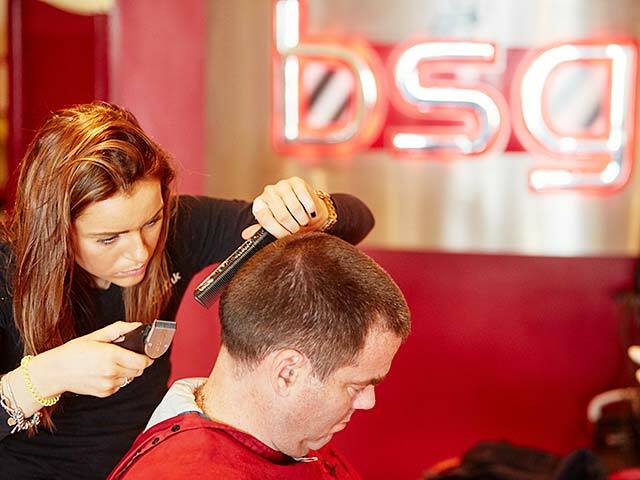 The Barber Shop Group offers comprehensive training (up to NVQ levels 2 and 3) leading to a secure and exciting career with management opportunities. 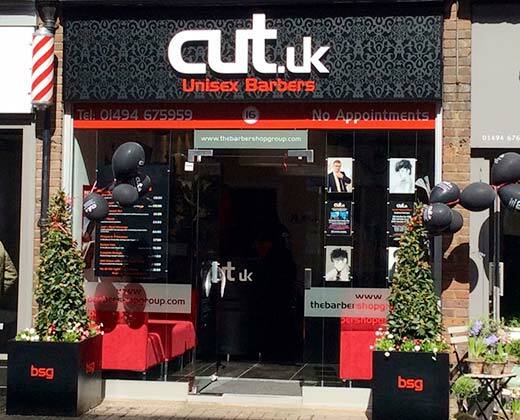 Introducing CUT.UK, unisex barbers from the team behind The Barber Shop Group. 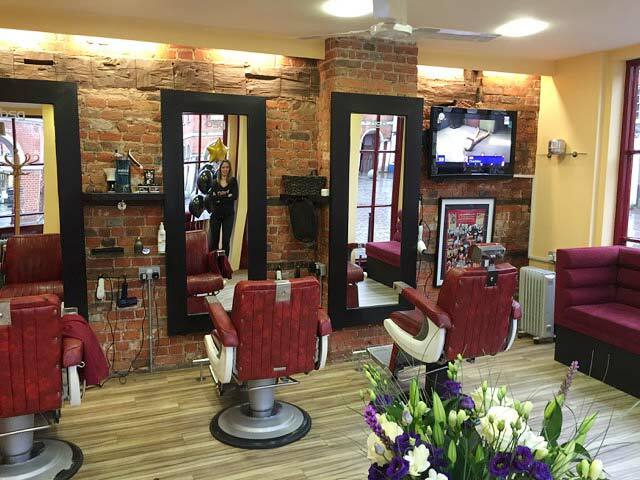 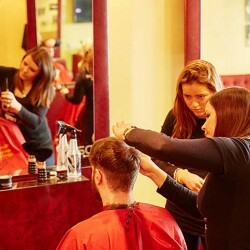 CUT.UK is a new concept in hairdressing allowing women (and men of course) to have a walk-in no-appointment-necessary inexpensive quality haircut experience in a luxurious environment that, until now, has been the domain of upmarket male barbers.